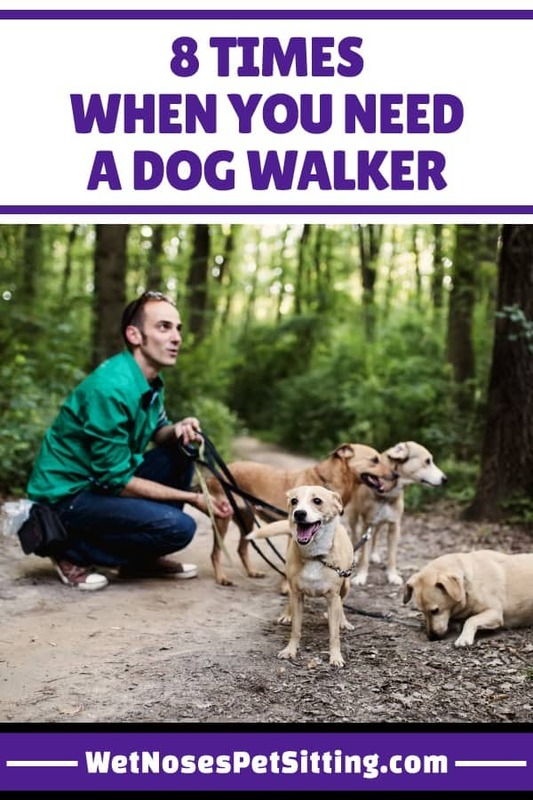 Most people believe that dog walkers are only needed by people who work 12 hours a day, and while it is necessary in that case, there are a bunch of reasons when a dog walker can be helpful. We are going to look at when you may need a dog walker and how professional dog walks work. When Can I Use a Dog Walker? When you are working long days. 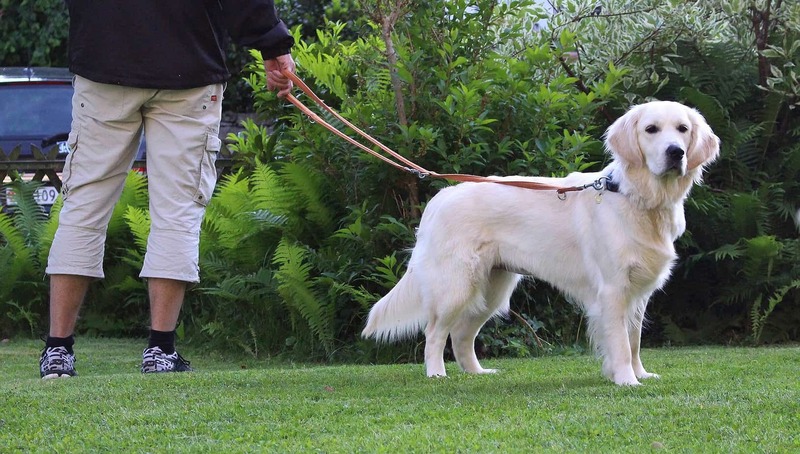 This is the most common reason for people to hire a dog walker. 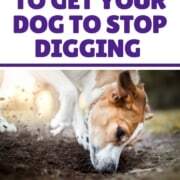 They are working for longer than their pup can last and they want to make sure she gets out for some exercise and a potty break during the day. Usually these visits are scheduled during the middle of the day, but can also be arranged based on your work schedule. When your dog needs some extra exercise. Some of us do not have the time, or energy, to exercise our dogs as much as they need in a day. The average dog needs at least a 30 minute walk a day in order to stay happy, but high energy dogs can require a lot more than that. When your life gets crazy! We all have those times when everything piles on and we just cannot get to it all. 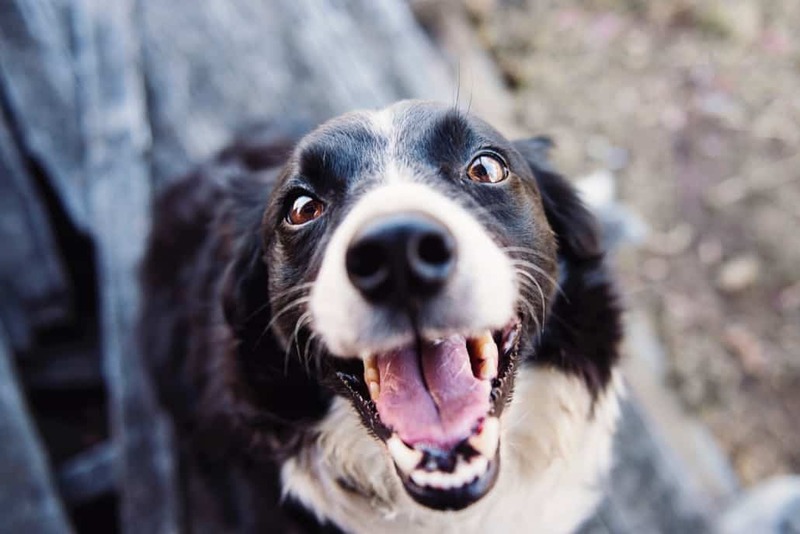 Having a dog walker come in and make sure that your pup is happy can take a load off your mind and free you up to work on tasks that only you can do. Dog walkers can also help out by feeding your pup and taking care of other small tasks when needed. When you have a puppy. Puppies need to go out often and be supervised constantly. A standard rule of thumb is puppies can only hold it for one hour per month of age. This will vary based on the breed of puppy, their schedule and the puppy herself. It is hard to get anything done, when you have a puppy needing so much time and attention. Even if you are home all done, it can be nice to have someone help out for awhile so you can take a break. When you have problems with mobility. We have had quite a few clients that are injured or elderly and need some extra help. This includes folks in assisted living facilities who are able to keep their dogs but cannot get them out for walks. When your dog is bored. Maybe you are able to get your dog out but he is still bored during the day. A new friend coming in and changing up the routine will excite any dog and relieve the boredom. When your dog is elderly or ill. Older dogs often need to get out more, especially if they develop health problems. Dogs with injuries or illnesses may need medication during the day or supervision while you are gone. We have spent time with more than one dog in a cone! When your life is unpredictable! You have a job and kids and never know when the schedule is going to change. Dogs, as flexible as they are, thrive on routine. Knowing your pup is cared for, no matter what life throws at you, is a huge weight off your shoulders, and great for your dog! These are just a handful of reasons you may need a dog walker. 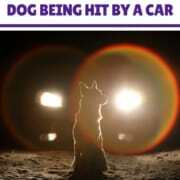 Really there is no end to the reasons you may need a dog walker in your life, nor should there be! A dog walker is there to provide your dog with consistency and you with peace of mind. Visits can be matched to your dog’s needs, but it is nice to get an idea of some possible schedules. We customize our visits and schedules based on the needs of your dog to make sure their visits are optimized. Standard Mid-Day Dog Walk: Your dog walker comes in around noon (or whenever is a good time) and takes your pup for a walk. They go for a 25 minute dog walk, then the sitter refills your pup’s water, gives her a treat, sends you a picture of your pup to check in, leaves a quick note about the visit and settles your pup in for the afternoon. 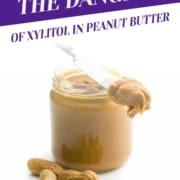 You know how your dog is doing and do not have to worry about her for the afternoon. These walks can also be longer for high energy dogs. 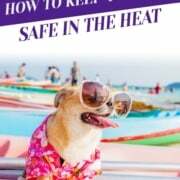 Twice a Day Visits: You are not on vacation, but you need a bit of extra help with your pup. 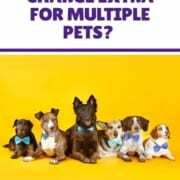 You sitter comes in twice a day (breakfast and dinner), takes your dog out for a 20 minute walk, feeds her, changes her water and takes care of other critters. This way the basic care is done and you can enjoy the time spent with your fur kids without stress. This schedule is used by people who are busy, but also injured or elderly people who struggle with mobility. Quick Potty Breaks: Some dogs do not need a walk but still need a potty break during the day. Your dog walker comes and let your pup out in the yard for 10 minutes, send you a quick update, change her water and settle her in for the day. These are great for dogs who do not need a lot of exercise but need to go potty and break up their day. Long Exercise Visit: Many of us have high energy dogs and need help daily, or even just occasionally to burn off that energy. Your sitter comes at a good time of day and takes her for a 50 minute walk. During the summer we try to schedule these at times when the temperature is not too hot. Are your dog walks dependent on a specific time, like breakfast, dinner or halfway through the day, or just to get your dog some extra exercise? What times are you going to do be gone? How often does your dog need to go outside? How much exercise does she need to stay happy and healthy? What time of day is best for her to be out on a walk (if it is really hot or cold during the day)? Will she need to be fed during this visit? Do any other animals need care during the visit? Do you want visits regularly or just occasionally? We are here to discuss your dog and schedule and figure out the best scenario for you. Contact us and let us know what is going on in your life so we can figure out a schedule that works for you and your pup! 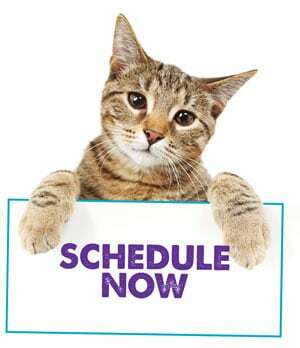 Our schedules are flexible and we match our visits to your needs, not the other way around. Schedule Your Dog Walks Today! 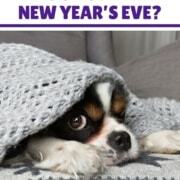 Why Does My Dog Not Like New Year's Eve? 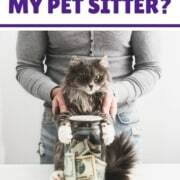 How to Find a Missing Pet in Larimer County What Pet Sitting Visits Do I Need for My Rabbit?